A chakra meditation is a fantastic way to help open, clear and heal your chakras. 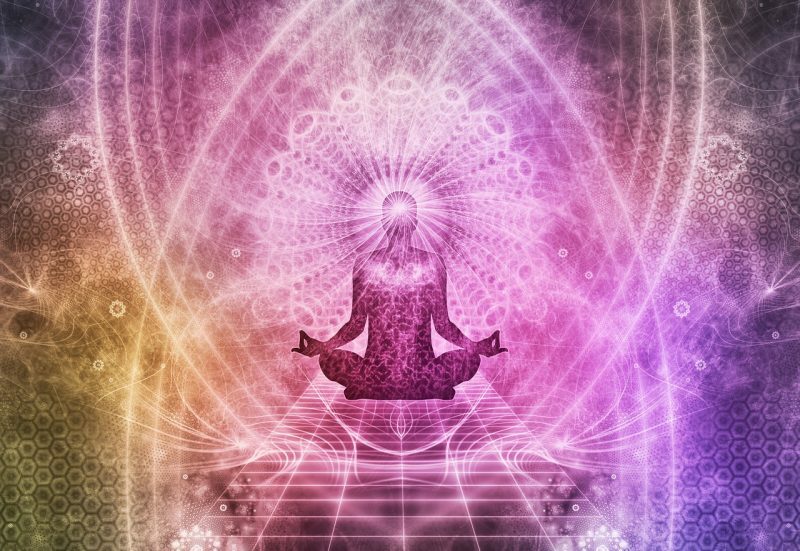 There are many types of chakra meditations, from passive meditations where you can visualize your chakras opening and swirling with energy to more active meditations such as these chakra balancing techniques. Below is a guided Chakra Meditation designed to align your chakras before sleep. Why a Chakra Meditation ? You’ve probably heard about chakras, as well as meditation. Meditation is a practice that is considered to be beneficial to the mind, but not many of us know that it can also influence your body and greatly improve the physical state you’re in. Chakra meditation is a form of meditation in which you focus on visualizing and healing your chakras. The process results in the improvement of your overall health and the feeling of well-being. How is it even possible that something as simple as that can resolve your health issues? Here we will discuss the importance and benefits of chakra meditation to your body. There aren’t a lot of people today who are happy with the way they live. As the human race, we have more to thank for than ever, yet we find ourselves dissatisfied and always hungry for more, for an improvement in whatever aspect of our lives. The fact is that, although we have much more in material possessions, we haven’t gained a lot spiritually. In fact, it could be said that we even lost what we once had. The modern world is a place in which everything is measured,quantified and reduced to its material properties. In such a world, if you’re unhappy, you’ll probably end up trying to buy your own happiness. Since we live in a society of consumerism, it’s no wonder that exactly that happens to most people. You are, after all, being pushed to it from every possible direction and in every possible way. We do the exact same thing with our health. The society instructs us to make ourselves stronger and healthier by buying things that will do the job for us. If you want to become thin and fit, you should buy a treadmill or some other machine, and if you want to be healthier, you should buy the pills that contain all the vitamins and minerals your body needs. The general attitude reflects in every aspect of our society– we keep insisting that the solution to all of our problems must be outside ourselves. The problem is in our medicine, as well. Despite all the knowledge gathered through centuries, as well as the advanced technology, it would seem that we haven’t moved from the point of treating only the symptoms, and not the illness that caused them. If you know something about the way people used to live,then you also must know that we haven’t always been like this: helpless,disoriented and lacking the most basic knowledge of our own physical and mental constitution. We haven’t always been so focused only on the physical aspect of ourselves, as well as almost completely detached from the spiritual one. The ancient cultures of China and India emphasized the importance of harmony and balance in the relationship between the body and the soul. Their wisdom is based on understanding of the way our bodies work, something the people of the modern world have been neglecting. Unlike us, they saw the importance of solving the cause of a certain state, and not its result, which they also made possible by introducing energy as one of the key elements of an organism. A human body has hundreds of energy centres. The centres are in a never-ending dialogue with the outside world, constantly receiving and transmitting energy. Each is important, but there are still seven of them that are considered to be the key energy centres. They are known as the seven chakras: root, solar plexus, sacral, throat, crown and third eye chakra. Each governs a specific part of our body, along with various spiritual and emotional attributes. The main function of a chakra is providing the body with enough energy to make it happy and healthy. They are in constant motion, but only when they’re spinning in the right way can they do their job properly. When there is something wrong with your chakras, the problem will manifest itself through all kinds of symptoms. Depending on which of the chakras is damaged or blocked, you too will feel emotionally, spiritually or physically damaged or blocked. Unfortunately, since we’ve lost the connection we had with our own bodies, you probably won’t be able to say what’s really troubling you. It goes without saying that fighting the symptoms won’t do the trick – you’ll have to dig deep to get to the root of the problem. This is where chakra meditation comes in. This technique has been around for thousands of years, and although the general public didn’t know about it until recently, in the East it has been passed on from generation to generation as a means of understanding and healing one’s own body. By practicing it, you will make sure that your chakras are open, unblocked and spinning in the right way. As a result, you will feel a significant improvement and relief in the aspect of your life that’s been troubling you. Meditation in general, as well as chakra meditation, is a practice that has been performed by people in the East since the ancient times,and it is considered to be very healing to both the body and the mind. The perfect time to balance your chakras is during meditation. The cross-legged pose makes your chakras perfectly aligned, and while you’re in the meditative state, you are able to shift your focus on a particular one, whichever you feel needs your attention. If you don’t know where to start,try to visualize your chakra being blocked or depleted of energy, and then concentrate on opening it. The energy you put into this will make you chakra heal, and as soon as it starts spinning properly, the symptoms that were caused by its being damaged will go away. In chakra meditation, the two most important things are the power of visualization and perseverance. If you don’t succumb to the feeling of helplessness and continue your attempt to visualize what needs to be fixed, you’ll soon find yourself relieved of many problems you thought you couldn’t solve.